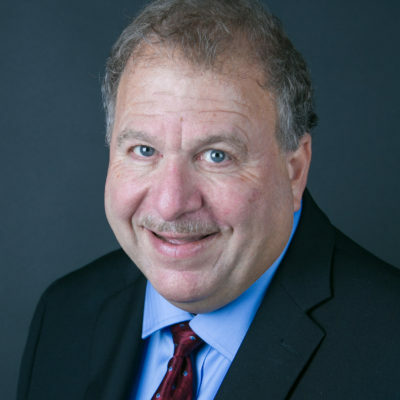 Alan R. Abrams has almost 40 years of hands on executive experience, including thirteen years as Chairman/CEO of a diversified publicly-traded company, fourteen years as President of a commercial real estate firm, and several years as a securities analyst and stock broker. His areas of expertise include strategic analysis, strategic planning, executive management, financial analysis, budgeting and financial planning, mergers and acquisitions, real estate development and asset management, executive coaching, family businesses, corporate governance, board representation, asset liquidations, and corporate restructurings. His industry experience includes construction, energy efficiency/sustainability, manufacturing, real estate, securities and investment management, and technology. As Board Chairman and CEO of Servidyne, Inc. (Nasdaq-SERV), Alan was the architect and driving force behind the successful strategic repositioning and eventual sale of the closely-held, 85 year-old company. Under his leadership, the construction, manufacturing and real estate firm, previously known as Abrams Industries, was deleveraged and “re-invented” through a series of divestitures, asset sales and M&A transactions. After completing a comprehensive strategic analysis, he convinced his fellow Board members, including three close relatives, that the total economic value of the company would never be fully reflected in the price of the company’s stock, without a fundamental restructuring. Accordingly, he implemented a process to totally remake the company around its core competencies in owning and operating buildings, and to exploit opportunities created by surging energy prices. Over the next several years, the company exited from two low-margin legacy businesses and restructured its balance sheet, enabling it to self-fund the creation of a new higher margin operating platform, by acquiring a total of five small companies that were combined to form a new business that became a global B2B provider of energy efficiency products, services and online proprietary software for commercial and institutional buildings. Ultimately the company, re-named Servidyne, was acquired by a Silicon Valley-based strategic buyer at a favorable valuation for shareholders in an all-cash transaction. Previously Alan served as President of Abrams Properties, Inc., where he led the development of several multi-anchored retail “power” centers, and the asset management of the company’s 2 million+ square foot portfolio of retail, office and industrial properties. He managed all aspects of the development process, including site selection and land acquisition; anchor tenant leasing; legal, regulatory and statutory approvals; interim and permanent financing; project design and construction; and the asset management of the company’s income producing properties and raw land, including property management and leasing, asset acquisitions and sales, and tax-free exchanges. Prior to that, he was a buy-side equity analyst, specializing in high technology stocks, and before that was a stock broker. In the community, Mr. Abrams has served in senior leadership positions and on the Boards of several not-for-profit organizations, and was the founding member and first President of Temple Kehillat Chaim (Roswell, Georgia). He received his MBA (finance and accounting) with honors from Emory University and his bachelor’s degree (history) from Columbia University.